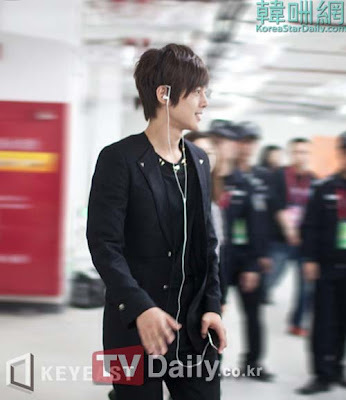 Kim HyunJoong exposed the most natural photographs of him at the back stage of the year 2010 16th Guangzhou Asian Game opening ceremony. In the photographs, Kim HyunJoong who was wearing a simple full black tailor suit, while preparing to go on stage he was still listening to MP3, practicing song deligently. His fully concentrate look was just like a photograph that was preset. While in another photographs Kim HyunJoong was fully concentration looking at his laptop, the long eye lashes and also good skin that make all girls envy, looked just like a character came out from a romantic comic. 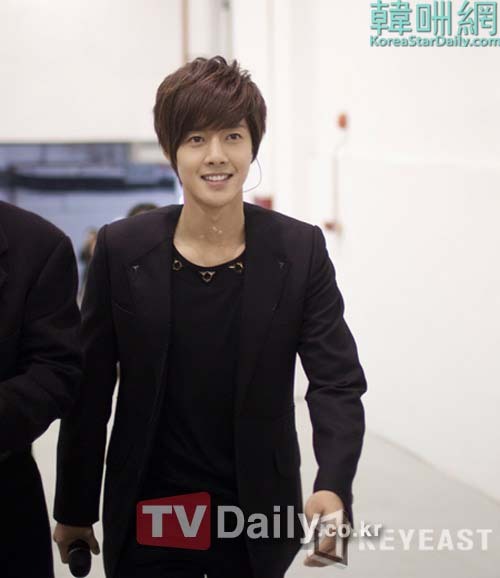 Standing together with Asian top star infront of 100,000 audiences' Kim HyunJoong although was very nervous but still show his gentle smile infront of the camera, clear and bright smile has affected the surrounding people. After looking at the photographs, fans has left messages saying: 'Was proud that is a Korean myself', 'Superior DNA is has attracted a lot of attention in Greater China', 'Walking Statue'. 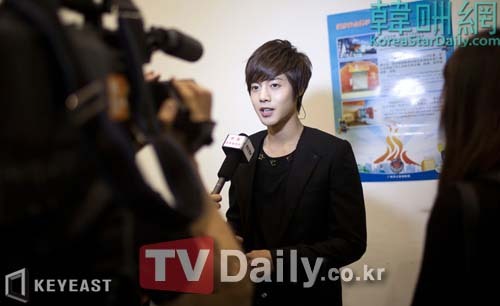 It is reported that Kim HyunJoong is currently working non-stop preparing his solo album.